Hello Saginaw resident! You would never like to drink a glass of mud, right? Well, your vehicle feels the same way. It needs a steady supply of clean fuel in order to run well and deliver good fuel economy. The fuel filter's job is to clean dirt and rust out of the fuel before it gets to your engine. A clogged fuel filter can actually choke off the engine so that it won't start or run. 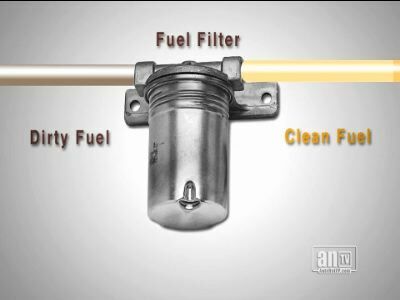 Some fuel filters have a bypass valve that allows fuel to go around the clogged filter so your vehicle will still run. But, then the contaminated fuel can clog your fuel injectors and allow particles into your engine. A vehicle with a partially clogged fuel filter might run well around Saginaw, but sputter and strain on the because it's starving for gas. There are two things that affect how often you need to replace the filter. They are: where you drive in TX and the gas you buy. If you drive a lot on dirt or gravel roads in rural TX, your fuel filter will have a harder time keeping the fuel clean. Of course, manufacturers recommend intervals for changing the fuel filter. But, it's a little more complicated than that for Saginaw residents. Some manufacturers stopped listing recommended intervals for fuel filter replacement or have very long intervals like every five years or 80,000 miles (130,000 kilometers). So you may need to look to other sources for recommendations. Vehicles older than six or seven years are especially at risk because they have had time for dirt and rust to build up in the fuel tank. A clean fuel filter keeps the gas flowing. Even a partially clogged filter puts added strain on the vehicle fuel pump. That can shorten its life and result in repair. As is often the case, spending a little money now on something as inexpensive as a fuel filter can save money for Saginaw residents down the road by improving and preventing repairs. At Kwik Kar Saginaw in Saginaw, we can check your fuel filter. It is better than fixing a burned-out vehicle fuel pump or ruined fuel injectors.